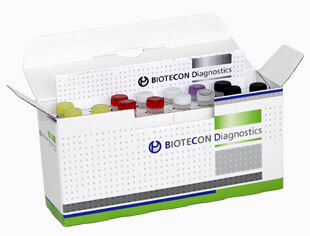 Using the foodproof Campylobacter Detection Kit, Campylobacter species, including C. jejuni, C. coli, C. lari, C. upsaliensis, C. hyointestinalis and C. fetus are detected. Additionally, the species C. coli, C. jejuni and C. fetus can be identified by melting curve analysis. Campylobacter are corkscrew-shaped, Gram-negative bacteria. They are often found on raw poultry. Campylobacter jejuni is the most common bacterial cause of gastroenteritis. Infection may even cause nerve damage, such as the autoimmune disorder Guillain-Barré syndrome (GBS).